A Globe and Mail and Toronto Star bestseller! Now available in paperback with additional content. Listen to an excerpt from the audio book version. Now available in paperback from W&N! Available from HarperCollins Ibérica S.A. Available in Polish from Swiatzkiazki. More information. In the stillness of a summer dawn, two siblings leave their campsite with fishing rods, tackle and bait, and push a red canoe into the lake. 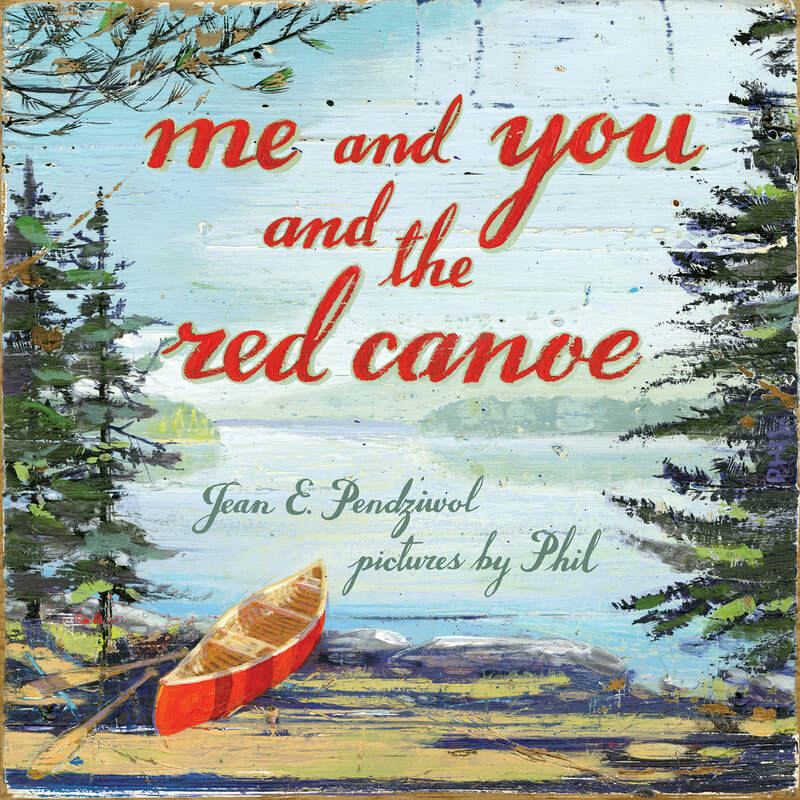 Gorgeously illustrated by Phil, and inspired by paddling in Quetico, the Boundary Waters and Algonquin parks, this lyrical story describes a perfect summer morning on the lake, with a satisfying, delicious ending. For more, click here. "A true gem that invites contemplation and reflection in children, who are often too busy to notice the beauty of everyday life." - School Library Journal. Available in McDonald's Happy Meals! The Dragon is part of McDonald's Canada's Happy Meal Books program!